The inception of the idea on TimeToSchool started by the end of 2012. Initially built as a simple yet strong School Notification SMS software TimeToSchool now stands strong as a comprehensive School Management Application built on ERP platform with fully functional mobile apps, voice enabled service, automatic website solution, NEET platform and cost-effective Transport module. Initially years of TimeToSchool were primarily focused on Chennai region of Tamil Nadu. However due to increase in continuous enquiries from various other regions in Tamil Nadu, TimeToSchool quickly scaled up its reach to several other cities of the state. 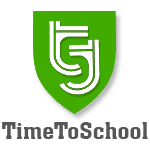 The goal of TimeToSchool is to empower our schools and parents with simple yet effective application to help them create a better environment for our children’s education. TimeToSchool simplifies most of the day-to-day activities of school admin and the staff. All activities have been brought under one easy to use mobile/ web application so that most of the non-productive and time consuming tasks of management, teachers and parents can be made simple through the app and the time saved can be better used elsewhere. Unlike regular school management application, the primary focus of TimeToSchool is not restricted just with recording regular activities of schools like attendance, marks, timetable, homework etc., but it extends up to providing relevant and reliable data to the school management team for their critical decision making. The school management is powered with accurate data on schools academic performance, which can be broken down up to an individual child’s and the teacher’s performance. With various services from TimeToSchool, schools are covered with all current and future needs of the market. The education system in India is rapidly improving and we strongly believe that parents and schools are equally responsible in bringing the best out of a child. TimeToSchool is an all-in-one platform where the school management, teachers and parents can collaborate easily. 2016: 30 schools signed up with TimeToSchool and the team size still grew to 13. TimeToSchol placed its foot in several cities across Tamil Nadu. 2017: TimeToSchool evolved as a full fledged ERP application with top notch Parent and Management mobile application. 2018: More than 150 school are using the application and the team size expanded to 18. App user count cross 10000+ mark. TimeToSchool service has clients across 7 major cities in Tamil Nadu. 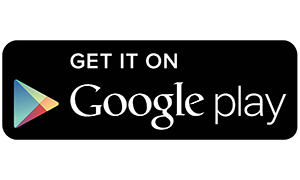 Staff app launched for for the school staff to have better control over the application. Several interactive features added to bring better control for the management. Meet the team behind our continuous success. Thiruvanmiyur , Chennai – 600041.